As anyone who has visited our Mountain View, California, corporate headquarters can tell you, Peloton has a very dog-friendly environment. On any given day, you might see our COO Alex the Cattle Dog, or our head of security, Toby the Maltipoo, roaming happily among their human co-workers. 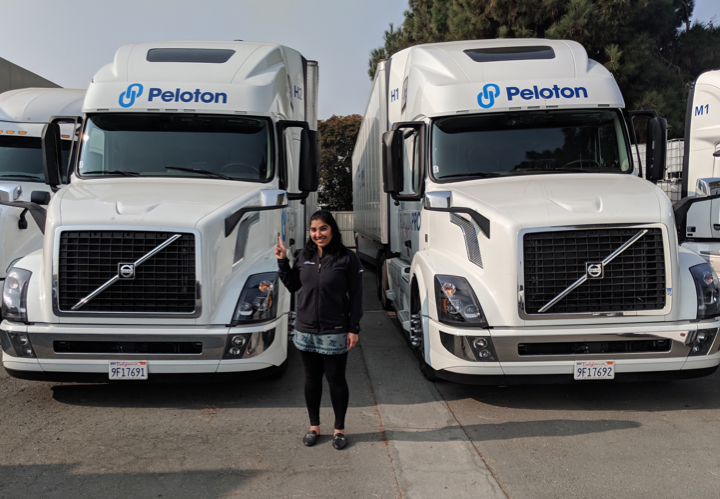 One recent day, as two of the dogs followed one another, nose to tail, as they wended their way among the office desks and chairs, a group of Peloton’s engineers had an epiphany: Why limit platooning to just vehicles? 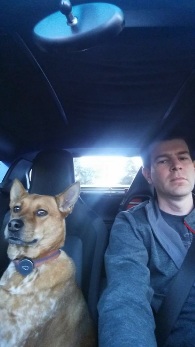 What about platooning technology for dogs? Imagine the order it could bring to dog parks everywhere. Instead of dogs running around chaotically, in all directions, paired and platooning dogs could run and play more cohesively. Dogs could move freely within less space. That space efficiency could be especially useful in urban areas, where it’s a challenge to find enough room to exercise dogs. Even indoors, platooning dogs could bring greater order and serenity to multi-dog households and dog-friendly offices. single unit. Thanks to their direct electronic connection, the platooning dogs can run as fast as they choose, while stopping instantly together to pick up a thrown ball or stick, or to check out any interesting-smelling treasures they encounter. they are most comfortable using. Next time you visit a dog park, any platooning dogs you see are probably using Peloton’s D2D communications technology. Either that, or you’re imagining things. In any case, happy April Fool’s Day!